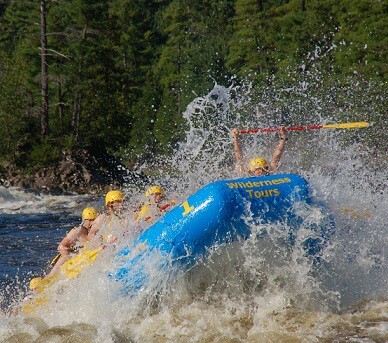 Raft the Ottawa with Wilderness Tours and we’ll be your group’s guide to all their adventure vacation needs. We offer one to five day vacation packages, from High Adventure Rafting Trips to Gentle Family Rafting for children ages 7 and up. See our full service adventure resort with mountain bike trails, sea kayaking, hot tubs, sport courts, pool, bungee, climbing wall and much more. Come and see why more people choose the WT difference, from Mild to Wild Wilderness Tours is Canada’s first name in adventure since 1975.